A special warranty deed can eliminate a lot of confusion about who is responsible if a defect is discovered after a home's title is transferred to a buyer. This type of deed is a guarantee that the seller will be responsible for any defects that are discovered after the property is sold, as long as the defects are caused by work completed when the seller owned the property. As part of the packet received at the closing of a home sale, a buyer usually receives some type of written assurance that the structures on a piece of property are in good condition, with the exception of any problems disclosed by the seller. The buyer may have also requested an inspection before the final sale. Sometimes there can be a problem discovered by the buyer after they take ownership of the property. The seller may not have known about the problem and so they would not have disclosed the problem at the time of the sale. Even if the seller didn't know about the problem, he or she could be responsible in some states for the costs of repairs for a given period of time after the sale. If the buyer does experience a problem, he first goes to the seller and asks for proof that the problem was not caused by actions taken by the seller. If the seller can provide documentation showing the problem preceded the seller's ownership, then the seller would not be responsible.For example, if a buyer discovered a cracked foundation on their home and was told that the cracking was due to soil erosion from the installation of a swimming pool five years earlier by the seller, the buyer would first contact the seller. If the seller had documentation that showed that the soil erosion was evident before the seller bought the house and documentation from a soil expert that said installing the pool would not affect the existing soil erosion, the seller would not be liable. If the seller didn't have the necessary documentation, the seller would be responsible for the cost of fixing the cracked foundation. 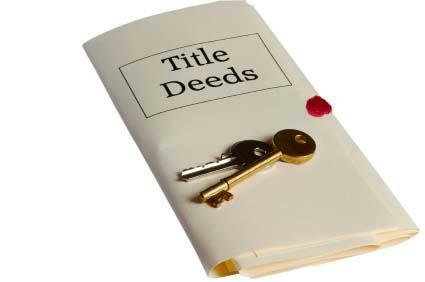 A special warranty deed does not provide as much title protection as a general warranty deed which guarantees that the seller has clear title to the property. A buyer should always consider obtaining title insurance if they have a special warranty deed. Title insurance will pay any expenses to investigate and settle any title issues that might be discovered in the future.